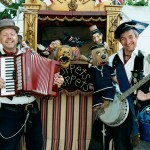 Poppets Puppets are no longer performing regularly, but here you can see images and videos of Uncle Tacko & Old Boy Gacko’s 12 years together as a double act. 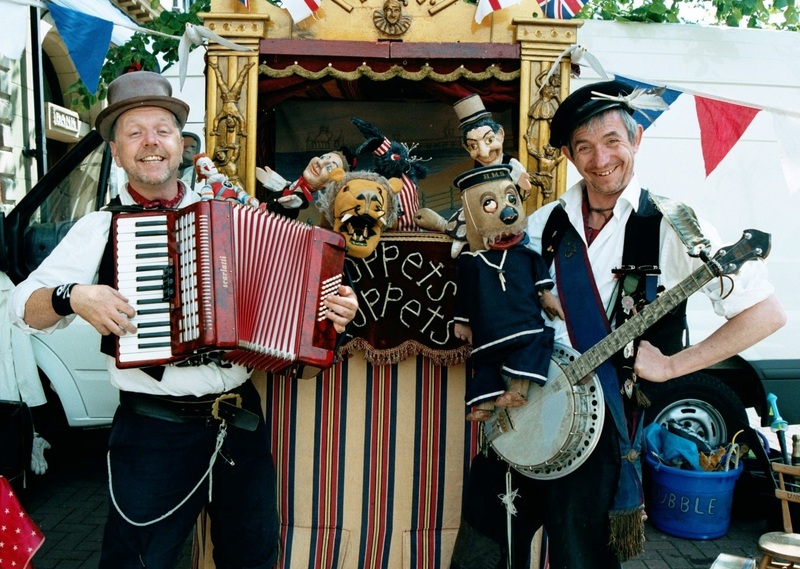 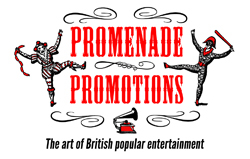 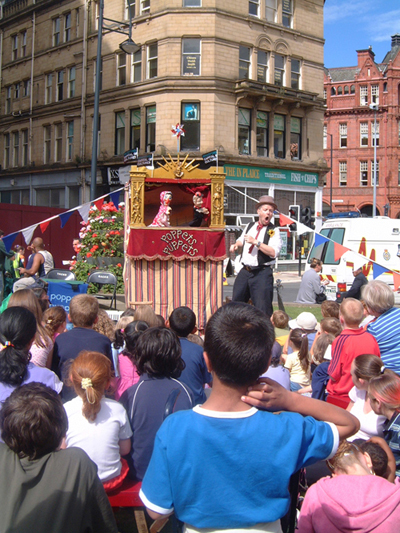 Poppets Puppets were formed in 1998 by Tony Lidington & Gary Bridgens. 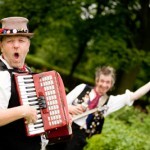 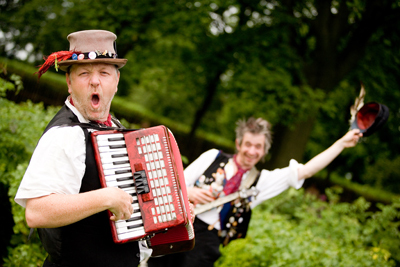 Tony and Gary also worked together for 20 years with the nationally-renowned Pierrotters, the last remaining professional seaside Pierrot troupe in Britain. 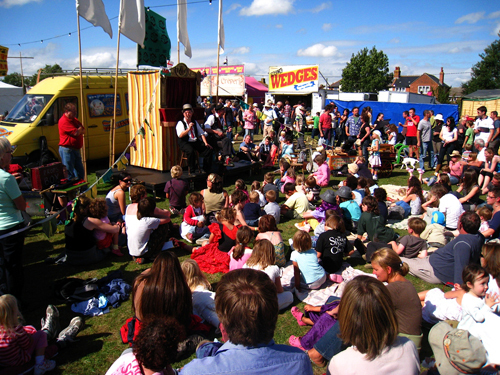 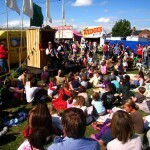 Poppets Puppets have played to many thousands of children at festivals such as Sidmouth International Folk Festival, Bradford Festival, Shakespeare’s Globe – as part of Shakespeare’s birthday celebrations, Llangollen International Eisteddfod and at seasides such as Morecambe, Filey, Whitby, Margate and at Eureka! 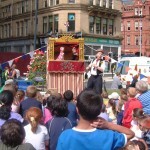 The Museum for Children and at other corporate and community events.